If you’re visiting or live in the Davie area, stop by uBreakiFix for all of your electronics repair needs. we understand how essential your smartphones, tablets, and computers are to your daily activities and how disruptive it can be when these devices fail. UBreakiFix makes it so you never have to be without your device for longer than necessary and our repairs typically take one to two hours. Davie is everyone’s favorite area of Broward County and for good reason! The elegant mix of homes, parks, farms, shopping, and restaurants means that there is always something to do or see here. 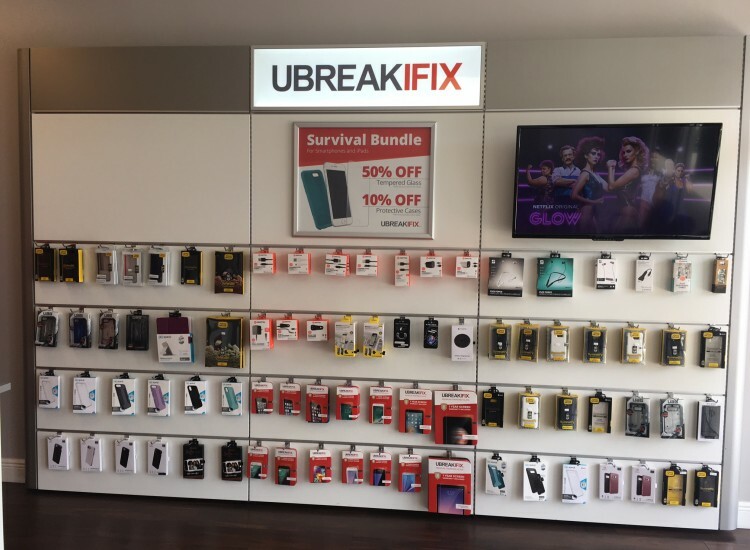 Located on Stirling Road in the Paradise Promenade Plaza, uBreakiFix Davie is happy to provide the highest quality and fastest cell phone, computer, tablet and game console repairs to our community. We know you have many options to repair your Apple iPhone and at uBreakiFix Davie, we focus on quality repair using quality parts. We want to make sure your iPhone is repaired as if you just bought it from the Apple store. We fix it all from water damage to iPhone screen replacement, battery replacement, LCD, camera, speakers and more. We fix all Apple iPhone models from 3gs to iPhone 6 and up to the new iPhone X. Come in today for a no obligation, iPhone diagnostic. At uBreakiFix Davie we offer free diagnostics and recommend one for every customer. This service is cost and obligation free and allows a technician to examine the basic functions and surface of the device that will allow them to pinpoint the cause and which of our repair services will solve the issue. Once identified we will explain what is causing the device not to work and customers are under no obligation to continue with a repair. We believe all of our customers should understand why their device is broken, receive an upfront price and completely understand their options. Choosing to get your device repaired instead of replaced is a sound financial decision and shouldn’t break the bank. We do everything we can to keep our prices as low as possible, but if you can find a lower advertised price for the same repair we would be happy to honor that price. This low-price guarantee is what sets us apart and we invite all of our customers to take advantage of it. We also have a standard 90-day warranty that protects our repairs from the unexpected. Come visit us at the Davie uBreakiFix the next time that you need a device repaired! Mike is a passionate and skilled technician. He has a vast knowledge of electronics and computer repair and enjoys working on all devices especially game consoles and tablets. Mike recently graduated from Broward College in Davie, FL and his professional expertise includes all Windows, Apple and Google devices.